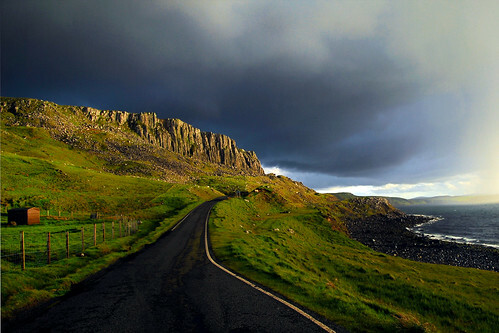 As we arrived at the northeast arm of the Isle of Skye we were met by a fantastic storm. I stopped the car on the deserted road and got out to look at the sky and the country all around me. It was alive with beautiful and vibrant colour and light. Several dramatic photos emerged. This is one of my favourites. To me, it's very mood evoking.